Friday Extra: Why Scream When You Can Shout! If this first full week of October has been stressful, tiring or just plain exhausting, take heart! A new series of 2-minute segments called Shout! 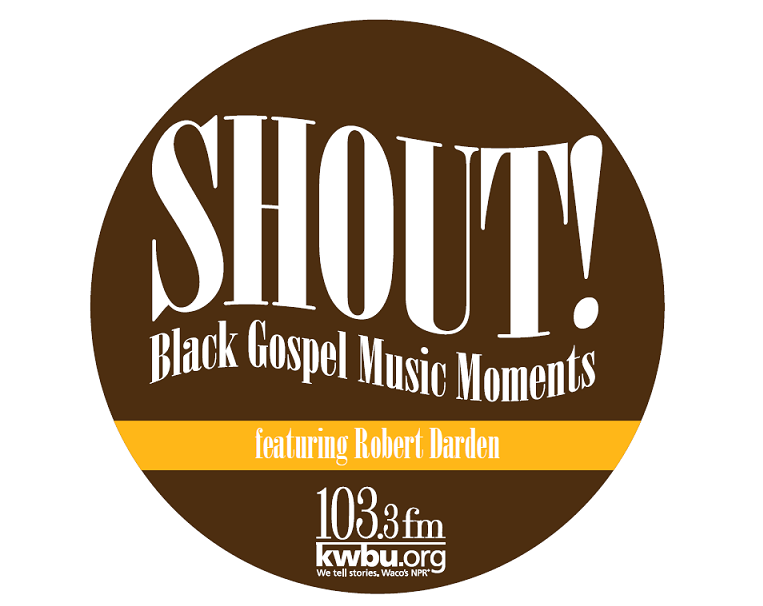 Black Gospel Music Moments has begun airing on Waco’s local NPR affiliate, KWBU-FM. Hosted by Robert Darden, they will feature stories from the Golden Age of Gospel (1945-1975) and will rely on music from the Black Gospel Music Restoration Project for their inspiration. Shout! currently airs on KWBU Sundays at 8:35 AM and Mondays at 6:32 PM. The segments are being made available to other public radio stations around the country, so check your local listings. Learn more about the Black Gospel Music Restoration Project from our homepage.